For 911 3.0 SC, 3.2 Carrera, 964/993 3.6 Carrera, 930 turbo, 965 turbo. Adapters and fittings set up for Garrett GT series turbocharger. Twin turbos or single turbo. Tial V-band flange has male and female interlocking function. 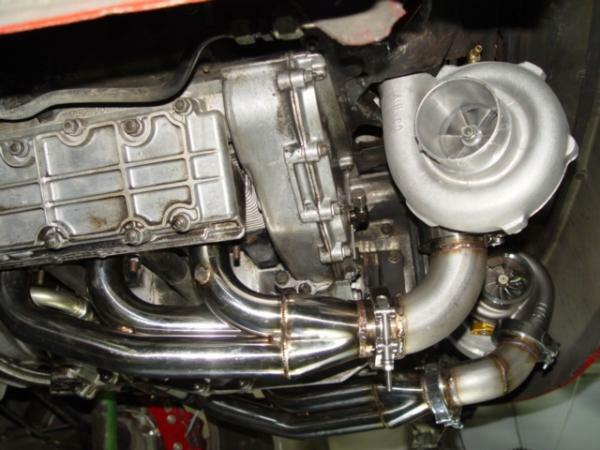 with Tial V-band flange the header can be switch from single turbo to twin turbo. 2 of Garrett GT35 R turbocharger with Tial turbine housing. Adapter for 993 Carrera manifold to ITB.